Gaga at rehearsals with The Rolling Stones. 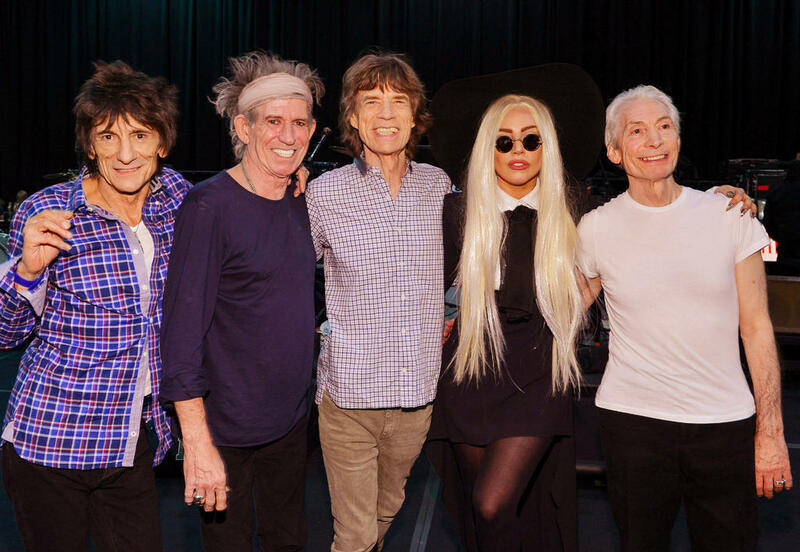 The Rolling Stones and Lady Gaga at rehearsals for the Stones' Dec. 15 One più Shot mostra. HD Wallpaper and background images in the Lady Gaga club tagged: lady gaga 2012 photo rehearsal the rolling stones. This Lady Gaga photo might contain ritratto, headshot, primo piano, and closeup.